A world without Pandas – would it make a difference? 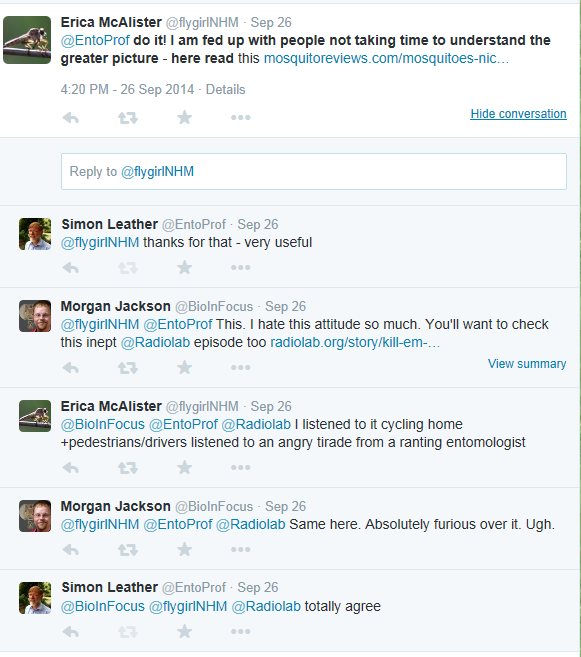 OR Conservation versus eradication – do some species deserve to die? Before you all get excited and ready to shoot me down in flames, this post is not about pandas 😉 It is about how we, as humans, have a very warped view about the value of the species with whom we share this planet – note I did not say OUR planet. I know I said this wasn’t about pandas but bear with me for a minute. “The giant panda is one of these species threatened to be wiped off the planet. Ironically, it is also one better known and loved species in the world and one of the strongest symbols of nature conservation. That is one of the main reasons why they are so important: by mobilizing people to save the panda, we are actually helping preserve the rich biodiversity, plants, landscapes, other animals that need to be there in order for the pandas to survive. Anopheles gambiae is one of those species threatened to be wiped off the planet by the deliberate action of man (http://synbiobeta.com/oxitec-arming-insects-eliminate/ and http://www3.imperial.ac.uk/newsandeventspggrp/imperialcollege/newssummary/news_10-6-2014-16-5-11). The region where Anopheles gambiae live, sub-Saharan Africa, and its magnificent forests and savannahs are home to a stunning array of wildlife such as lions, elephants and giraffes; as well as a number of other endangered species, including the cheetah and black rhino. 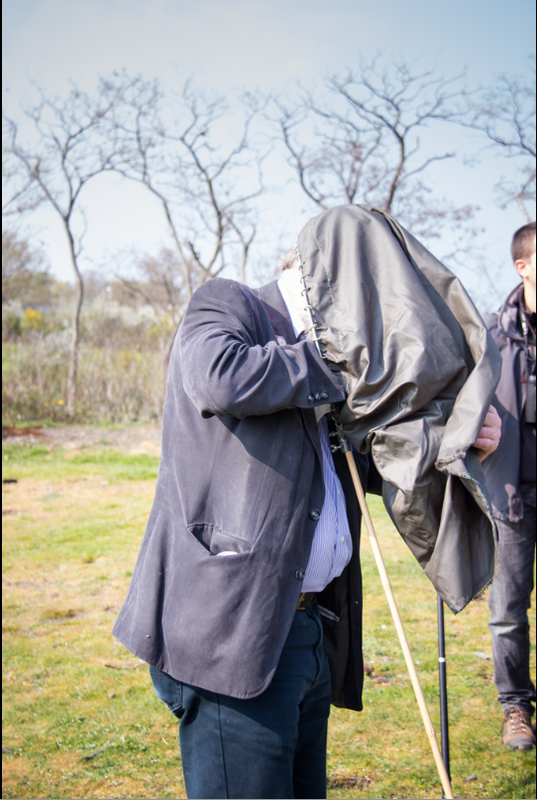 That is one of the main reasons why they are so important: by mobilizing people to save the mosquito, we are actually helping preserve the rich biodiversity, plants, landscapes, other animals that need to be there in order for the mosquitoes to survive. I know that this is a somewhat extreme example, and I am in NO way whatsoever saying that malaria prevention is a bad thing and that we should allow millions of people to die every year. What I am proposing is that we should look at the ways we can protect people from malaria and other fatal and debilitating diseases and our crops from the depredations of pests and diseases that don’t involve the eradication of other species on the planet. Resource values – all species may have an economic or ecological value, some of which we do not yet appreciate e.g. Food, pharmaceuticals, watershed regulation, coastline stabilisation, reefs for fisheries, tourism, education, ecological baselines, habitat reconstruction etc. This latter theory comes from the preface to Paul Ehrlich’s 1981 book, Extinction, where he imagines a passenger inspecting the ‘plane he is about to fly in. The passenger notices someone popping rivets out of the wings and asks what he is doing. The rivet popper replies that the passenger shouldn’t worry because not all the rivets are necessary. The rivets represent species and the rivet popper represents humanity, and the ‘plane the planet Earth. Ehrlich predicted that continuing to pop the rivets of ecosystems would lead to “a crumbling of post-industrial society” and demanded that the rivet popping be stopped. although the concept of keystone species, a term first coined by Richard Paine in 1969 has, particularly if the keystone species is vertebrate1 , had a marked influence on where conservation efforts have been directed over the years. The concept of ecosystem services where species can be assigned an economic value depending on the services they offer to humankind is not new (e.g. Hooper, 1970; Westman, 1977), but has increasingly and unfortunately allowed politicians and research funders to make decisions about the worth of species from a purely human viewpoint. As a result, when discussing the eradication or otherwise of species there is a definite bias towards the ‘charismatic mega-fauna’ whether they are keystone species or not, and those species that cause us discomfort must argue very hard for their preservation; see for example this extract from Jennifer Fang’s (2010) article. Personally, I am a great believer in retaining as many species as we can, so the deliberate eradication of species from their natural environments because we find them a nuisance makes me uneasy. We share this world, we don’t own it, so finding a way to live with ‘nuisance’ species must be a better option than eradicating them. As a parting thought, consider these words from Ehrlich & Mooney (1980), and also bear in mind the UK Government’s recent Biodiversity Offsetting policy. 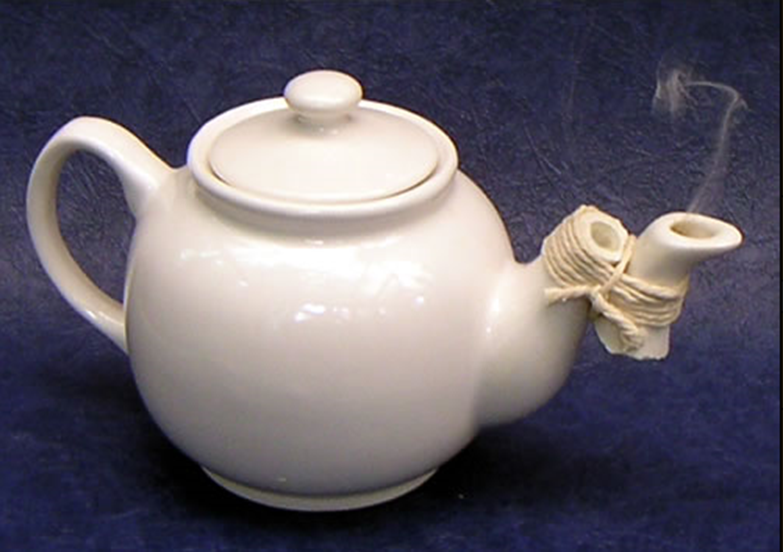 “Although there are numerous examples of unsuccessful substitutions, successful ones are hard to identify. Mace, G. (2014). Whose conservation? Science, 345, 1558-1560. Paine, R. T. (1969). A note on trophic complexity and community stability. American Naturalist, 103, 91-93. Soulé, M. E. (1985). 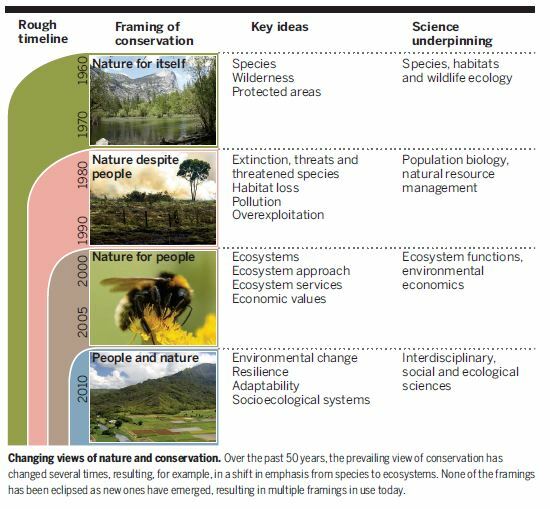 What is conservation biology? Bioscience 35, 727-734. 1Somewhat ironically Paine’s 1969 paper in which he coined the term keystone species dealt with two invertebrate species, starfish. Our new Freshers have now found their feet and most now no longer have to ask directions to buildings and lecture theatres. 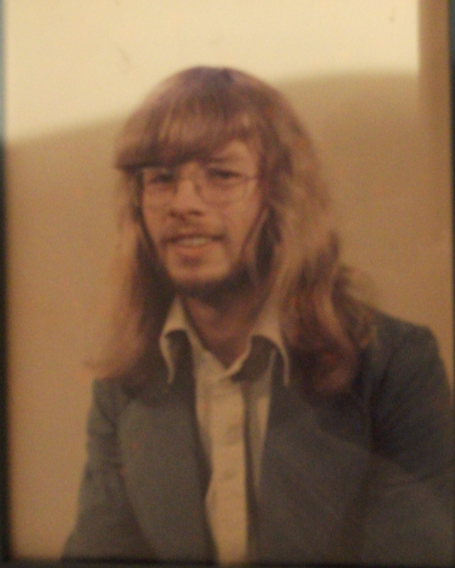 It came as a bit of a shock to me to suddenly realise that this time forty years ago I was in a similar position at Leeds University, although probably feeling somewhat more lost than our first year students because even then, Leeds was a big university (10 000 students; small compared with most universities now, but the biggest outside London then). 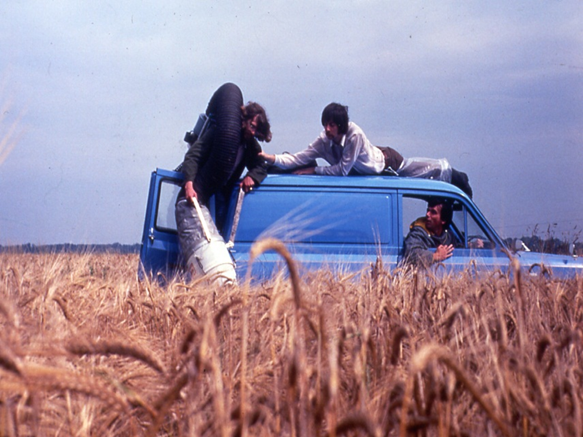 Two weeks into term and I was experiencing my first ever entomology lectures – my degree was in a now extinct subject, Agricultural Zoology, which was essentially entomology and parasitology, with a strong agricultural slant. 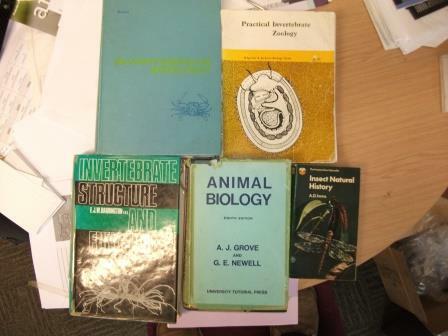 I still have the books that I bought in those first stumbling days (as Agrics we drank rather a lot) towards my career as a professional entomologist. I note that I did not buy the two Entomological bibles of our day, Imms (A General Textbook of Entomology) and Wigglesworth (The Principles of Insect Physiology) until the following year; actually during the summer vacation so I must have been very keen and feeling quite rich 😉 I drank and read my way through undergraduate life managing to fit in an entomological expedition to Trinidad in 1975 where I reacquainted myself with the Caribbean insects that had first sparked my interest in entomology as a child in Jamaica. 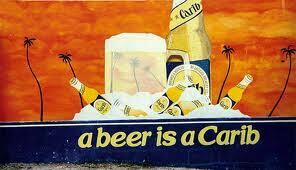 I also discovered that, to quote the advertising posters all over the island, “in Trinidad a beer is a Carib”! 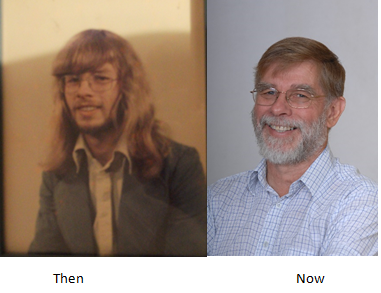 Despite the beer, the sunshine and the exotic flora and fauna, 1975 was the year that I decided aphids were the most fascinating of all insects and what I wanted to work on when I graduated. 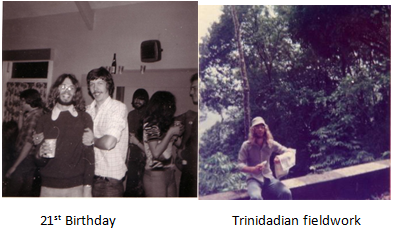 I also realised that you didn’t need to travel to exotic places to do interesting fieldwork and make new discoveries. 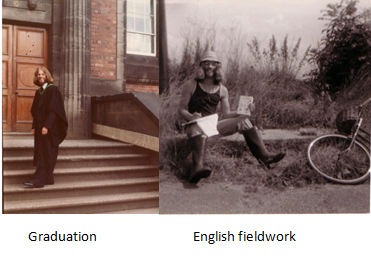 Even with all the distractions of student life, I did graduate and went on to do a PhD working on cereal aphid ecology.